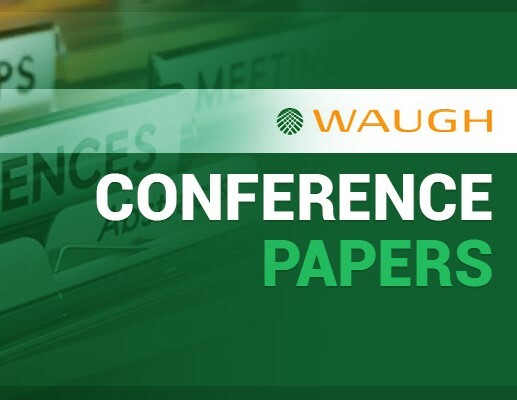 International Deighton User Conference 2016 – Keynote Presentation from Waugh Infrastructure Management Ltd. In this keynote – “Myths, Realities, and Money – the Infrastructure Management Journey in the 21st Century” – Ross Waugh, one of New Zealand’s senior infrastructure asset managers, undertakes a wide-ranging, informative and at times humorous review of the issues and challenges surrounding North American, and international infrastructure asset management. Ross canvasses some of the societal myths that impact infrastructure management and how those myths then inform decisions around long-term infrastructure investment. The realities of long-term infrastructure management and modeling, including the complexity of the interactions between competing tensions will be reviewed to provide some thought-provoking challenges to infrastructure practitioners. Ross pulls together thinking on Levels of Service, Future Demand, Risk Management, and Lifecycle Asset Management, integrating this discussion with an unusual but practical example. After a long recession the issue of the availability of money, and the willingness of infrastructure users and society to pay for infrastructure are discussed. Pointers on how to effectively communicate infrastructure investment issues are integrated with the keynote’s unusual practical example. Drawing on wide-ranging and many years of experience across Strategic, Tactical and Operational infrastructure management, Ross concludes the Keynote with a discussion of how to communicate complex infrastructure management issues to decision-makers and the community.